Deprived of money and time? Kuala Lumpur may seem like a big city but it takes just a pair of brawny legs, a few Ringgit, and a big water bottle to visit its most popular spots in one day. Rowjie and I successfully did it. Check out my list of what to visit or do in KL without spending that much. Below is a map of Kuala Lumpur, which will aid you during the tour. It’s pretty obvious that Chinatown is inevitable, it’s everywhere! If you’ve been to a Chinatown before regardless of your location, then you’d know what to expect. 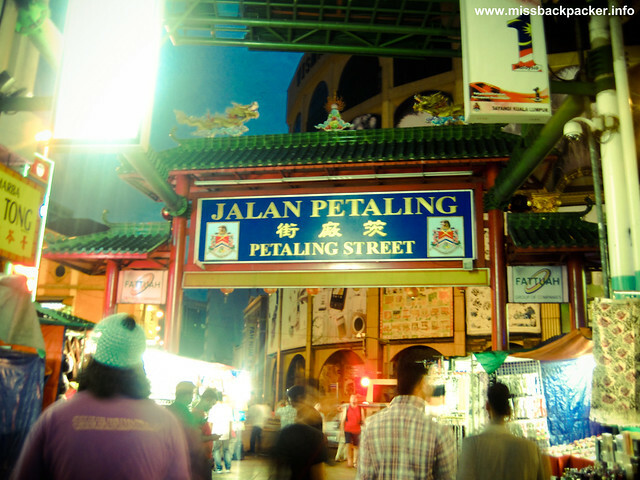 Located in the very heart of Pasar Seni‘s Jalan Petaling, KL’s Chinatown is pretty much the same with what we have in the country: Chinese people, loads of cheap items, street food, LV replicas, and a lot more. Some of KL’s most inexpensive hotels and lodges can also be found here. And what to do best in KL’s Chinatown? Food trip! You can satisfy your hungry stomachs with delectable meals for as low as RM8.30 just like what I had for breakfast, a Chinese-style chicken rice with milk tea. A few minutes away from Pasar Seni through KTM Komuter, spend only RM4 to get to the Batu Caves. It is indeed one of the most popular Hindu shrines outside India as the visitors we were with were mostly from the Patel clan, many were barefoot. It is said that the caves have been around for almost 400 million years now. Macaque monkeys were everywhere freely wandering and being fed by the visitors (just imagine the chills I had when we entered the caves). Also, an up-close glance of the statue of Murugan, painted with 300 liters of gold paint, shouldn’t be missed by anyone visiting KL. Great thing about Batu Caves was no fee will be asked from you but respect for the Hindu community. Two hundred seventy two steps – a perfect way to help you get rid of your hidden fats. Still up for some walking and stretching? Let’s proceed to KL’s Muzium Negara. From the Batu Caves, ride the same commuter train for RM2 and get off at the Kuala Lumpur Station, which is near the Heritage Station Hotel. Across the street is KTM Berhad, KL’s private and main railway. 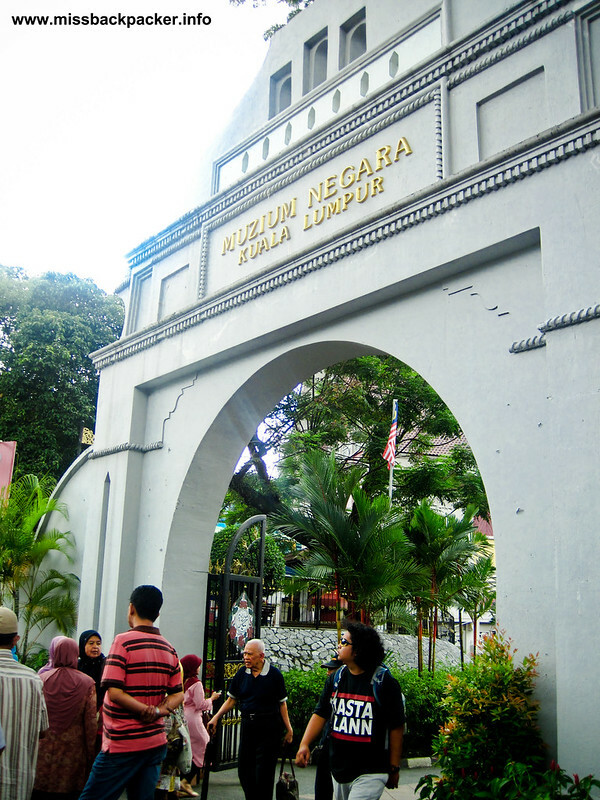 Walk straight ahead for about 15 minutes and you’ll reach the country’s national museum with an entrance fee of just RM5. There, a brief history of Malaysia is presented through visual and audio exhibits, a confirmation of how Malaysia and Philippines are much alike in so many ways. Malays and Filipinos share not only the same physique and skin color, they share histories as well. I know that a 30-minute walk from the Muzium Negara back to Pasar Seni isn’t easy; Central Market will definitely put a smile on your face with its shop-friendly environment. If Chinatown is Manila’s Quiapo, Central Market is KL’s version of our Greenhills. It has shops along the street and an air-conditioned mall with food center offering specialties not just of Malaysia but its neighboring countries also. We were able to buy ten souvenir shirts for only RM60 from a shop operated by a Filipina. 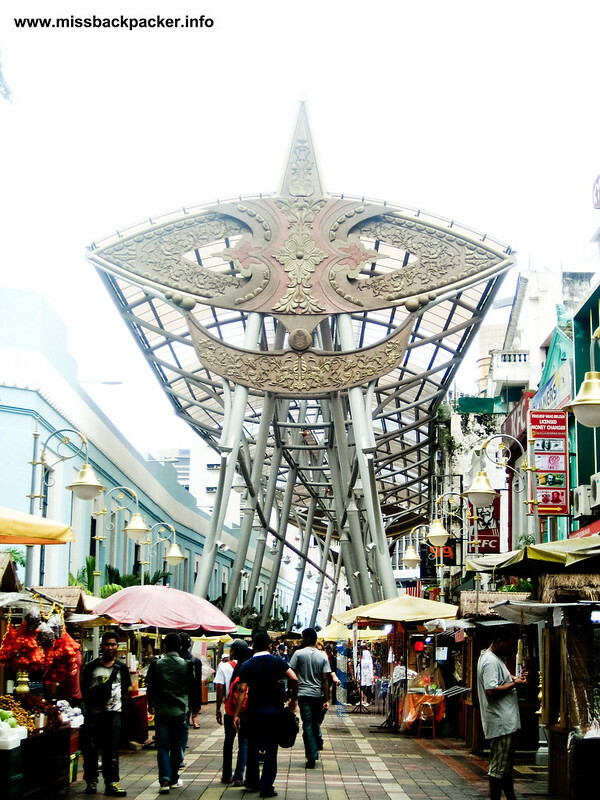 Central Market is perfect for low-cost shopping of gifts and souvenirs. According to one of the Malaysians we’ve had chit-chat with, KL is populated mostly with, of course, Malaysians, Chinese, and Indians. 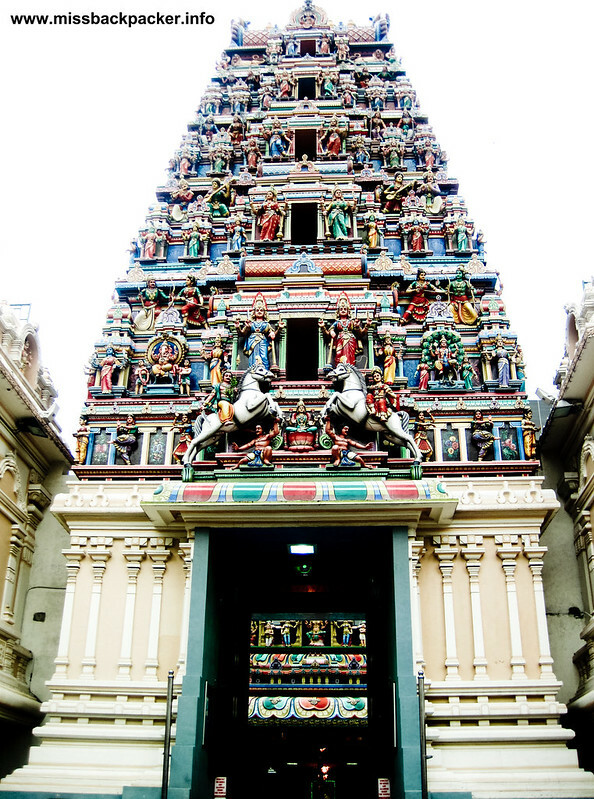 The Sri Maha Mariamman Temple, founded around 1870, is considered as the oldest and richest Hindu Temple in Malaysia. 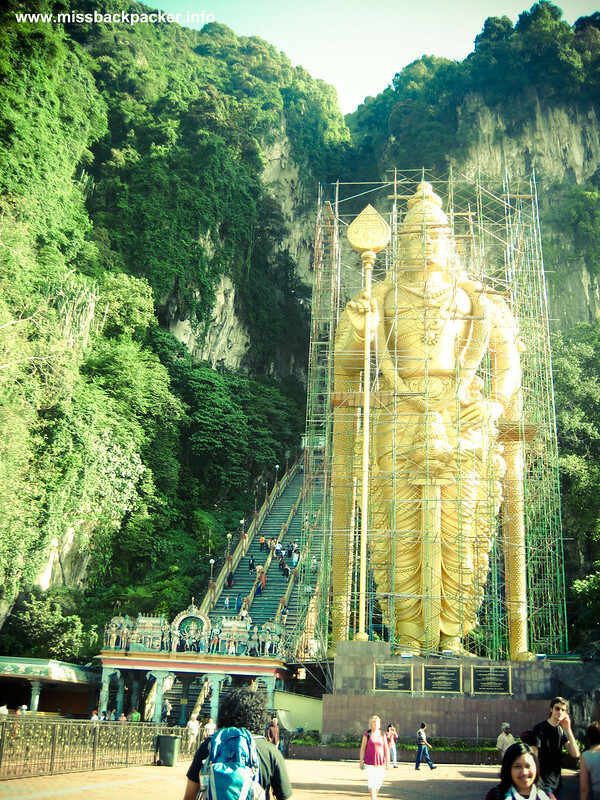 If the Murugan statue was built with gold paint, this temple had 350 kilograms of silver. Do temples really have to be built this way? Sri Maha Mariamman Temple is just five minutes away from the Central Market on foot. Marvelous structure every visitors must see. 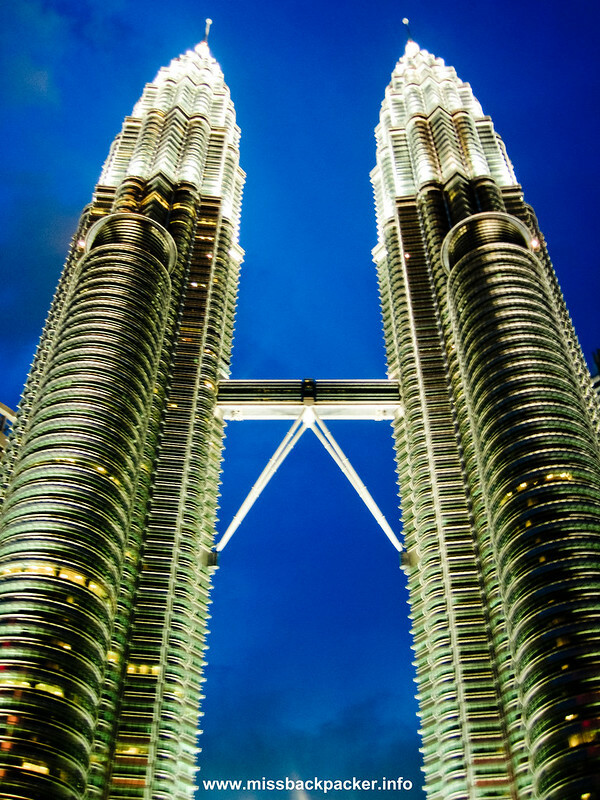 With 88 floors, Petronas Towers are the world’s tallest twin buildings surpassing the World Trade Center. Time to burn the carbs you’ve had when you ate at the food court of Central Market. Walk for 20 minutes from the twin towers to the Menara KL, the seventh tallest building ever built, which was intended to enhance KL’s telecommunication and broadcasting services. Free shuttle service awaits all visitors at the gate of the vicinity. 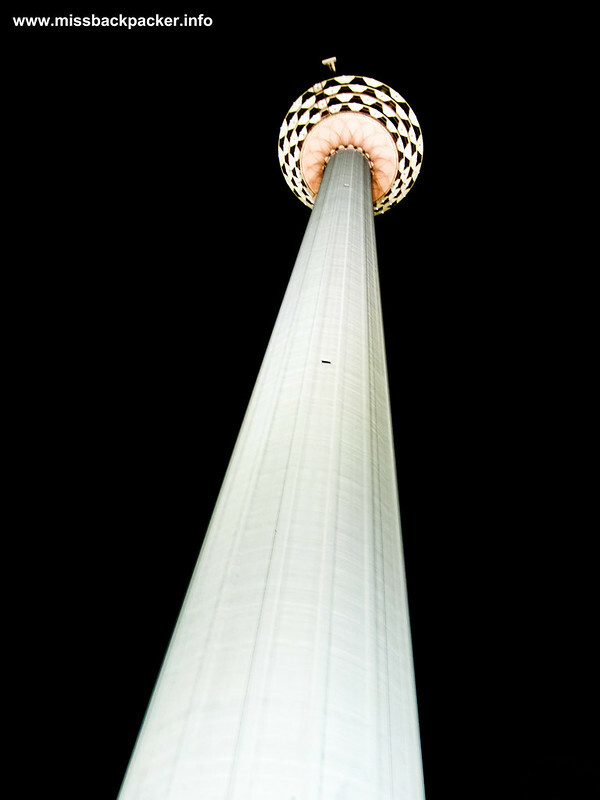 No need to pay for RM45 unless you want to experience the 360-degree view of Kuala Lumpur. I said pass during our visit. Did you know that Menara Kuala Lumpur also acts as Islamic lunar observatory? A 16-minute walk from the KL Tower to Bukit Nanas Monorail station is but a piece of cake compared to the sumptuous meals from the Jalan Alor, KL’s permanent Banchetto, waiting for you. Get off the Bukit Bintang station for RM3.20 and have the patience for another 8-minute stroll to KL’s famous food street. As for us, we spent RM90 (cannot consider it overspending) to reward ourselves and also to wrap up our dead tiring day. Starbucks and other quite expensive restaurants can also be found along the streets of Bukit Bintang. Kuala Lumpur in one day can be a lot of fun and doesn’t have to be expensive, mine’s only worth RM35.80 (less the RM90-dinner). I dare you try it. Agree, just a few MRT rides then walkathon will do the trick. We went up the viewing deck of KL tower, had a much better view than the viewing deck of the Petronas. i like the mix of culture of malaysia and as you have said we share also something on that. RM8.3! mura nga diyan. 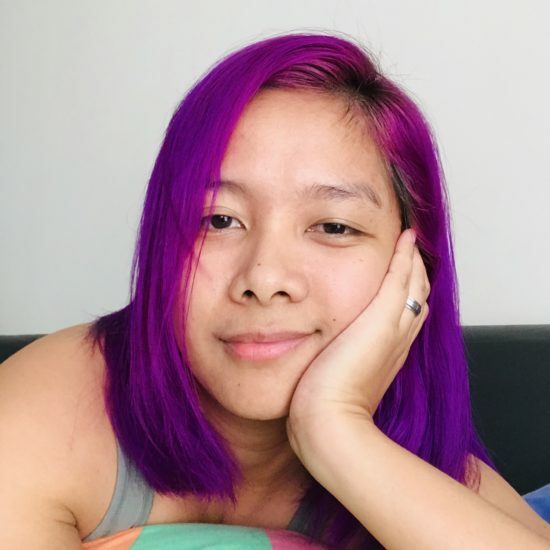 Danda! I wish I could visit the places you featured here! I envy you. Thanks for this Kaiz!!! Now, I’m more excited to go to Kuala Lumpur! I’m actully more excited about the food! Hahaha. I’ve been surfing online greater than three hours these days, yet I never discovered any interesting article like yours. It’s pretty worth enough for me. Personally, if all site owners and bloggers made good content as you probably did, the internet can be a lot more useful than ever before. Yes, we did this for one whole day from 8AM to 8PM. You wouldn’t want to miss Batu Caves (not far from KL Sentral), Petronas Towers, and Jalan Alor sana (kaya lang I think they open at 4PM if I am not mistaken so gagahulin kayo sa oras). KL has four main railway systems so getting around the city isn’t difficult at hindi ma-traffic. The problem is, I think ha, is the expensive transpo kay naglakad lang kami ng naglakad to save money.